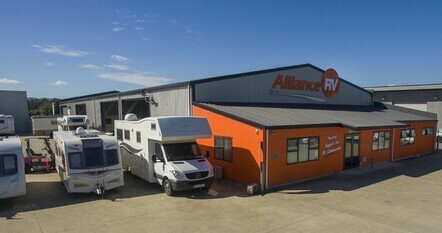 Based in Tauranga we are proud to service the RV community with accessory installation, repairs and modifications for your motorhome, caravan, 5th wheel, bus, truck or horse float. Whether it’s something new you want to purchase, get installed or are simply having trouble with. We provide easy access with a large yard for parking, high stud and large workshop – if you can drive it on the road, we can take it. Give us a call or come in to our workshop and talk to our experienced team. Open - Tuesday 23rd and Wednesday 24th April, back to normal Monday 29th April. Closed - Good Friday (19th), Easter Monday (22nd), ANZAC day (25th) and Friday 26th April. Our full workshop allows us to carry out a range of services including accessory installation, entertainment, electrical and plumbing repairs and servicing. 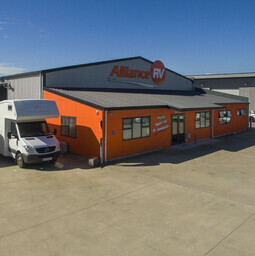 The Alliance RV workshop also provides an extensive range of products and accessories and with access to all major and minor importers and other experienced specialists we can get almost anything sorted. No job is too small. See us for your motorhome, caravan and RV repairs with over 20 years of experience we can help. Our mission is to provide our customers with high-quality service with a friendly approach. We love being able to provide our expert experience to ensure our customers enjoy the journey and the destination."